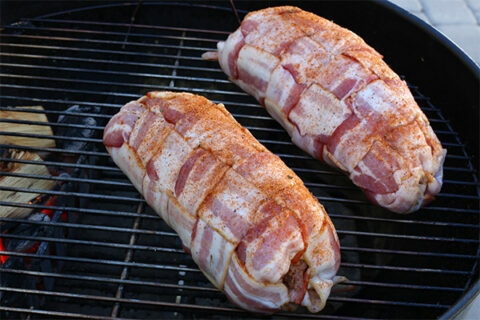 Bacon wrapped creations are very popular among barbecue pitmasters. 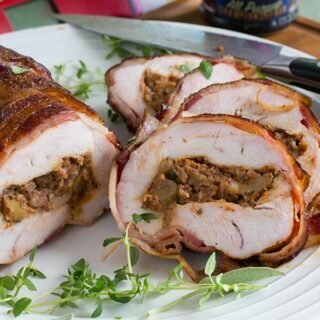 There's no reason why you couldn't or shouldn't have bacon wrapped turkey for Thanksgiving so I decided a wrap a butterflied turkey breast stuffed with a spicy jalapeno cranberry stuffing. Cooking turkey breast is a whole lot easier and faster than doing a whole turkey. My kids are grown up and my parties are getting smaller so there is too much leftover bird to eat by myself if I cook a whole turkey. If you are looking for more smoked turkey recipes, I have a whole one called a Tangilicious turkey. There's Turkey Lollipops if you want to do turkey drumsticks, a Whiskey Maple Butter turkey breast version, and an outrageous MooOinkDuckTucken. You can cook this bacon wrapped turkey breast recipe in the oven but I wanted a bit of barbecue flavor so I cooked it indirect in my Weber Kettle to get some smoke before crisping the bacon weave in my oven broiler. Special equipment: toothpicks or butcher twine, if needed. Whisk brine ingredients in large container until sugar and salt is dissolved. Pour into 2-gallon zip plastic bag. Add turkey breasts, seal, and refrigerate 1 hour or overnight. To make the stuffing - melt the butter in a large saucepan over medium-high heat. Add the garlic, onion, thyme, sage, and a pinch of SYD rub; sauté for 3 minutes. Turn the heat to medium-high. Add the cranberries and remove from heat after 1 minute. 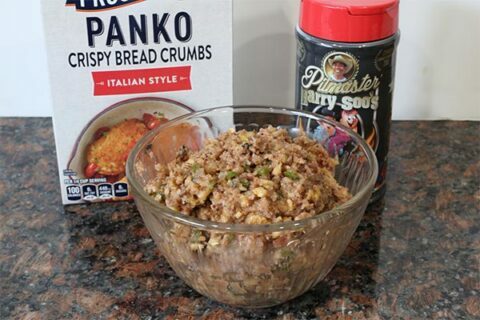 Transfer the mixture to a bowl and add the Jalapeño, walnuts, bread crumbs. Stir and add enough chicken stock to create a tacky cranberry Jalapeño stuffing. Season with SYD rub, to taste (about 2 teaspoons). If your brand of cranberries makes the stuffing too tart, sweeten it with some maple syrup or agave, as needed. Set aside to cool. Remove the turkey breasts from brine and drain. Use a sharp knife to butterfly the breasts horizontally into even halves so the breasts open like a book. Season all over with SYD rub, to taste (about 2 teaspoons). Lay a large piece of plastic wrap on a clean cutting board. 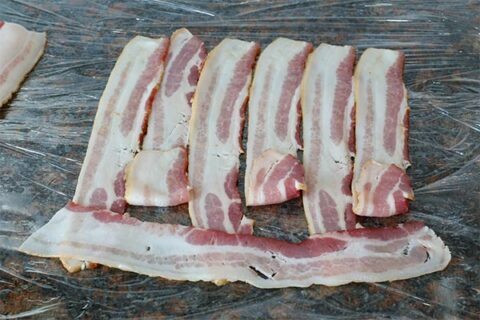 Put 5 slices of bacon side by side on top of the plastic. Weave the 6th strip 90 degrees to #1 – #5. 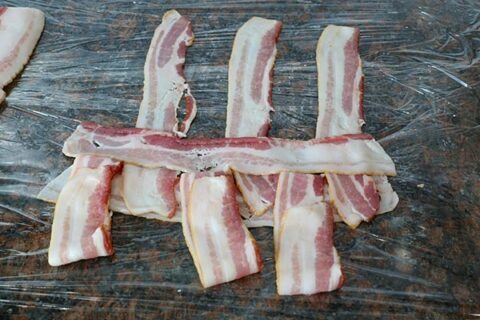 It’s easy if you start from left to right and lift each of the #1 to #5 strips as you lay down the 6th, 7th, 8th, 9th, and 10th strip. 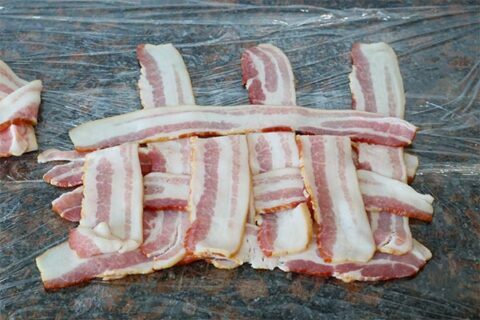 Place the turkey breast, cut side up, on top of the bacon weave. 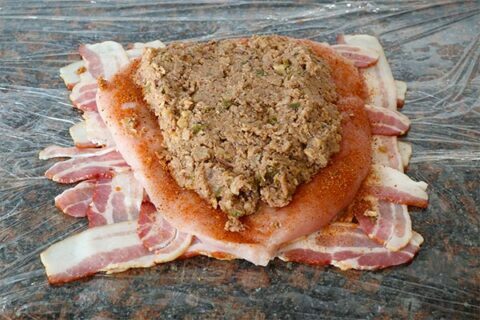 Scoop half the stuffing onto one half of the breast, fold over the other half, then use the plastic wrap to roll the bacon around it tightly. Wrap tightly in the plastic wrap twisting the ends to really seal in the breast to keep its shape. Repeat with remaining bacon, turkey, and stuffing. Rest in the refrigerator for an hour or until you cook it. Preheat smoker to 325F with a hot (direct) and cool (indirect) zone. I used a Weber Kettle. Remove the turkey breasts from refrigerator and discard the plastic wrap. Sprinkle the outside of the bacon with a little rub. 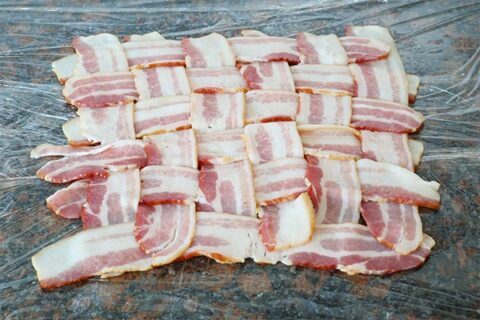 If the bacon is loose because you're new at doing bacon weaves, don't panic. It's OK to secure using tooth picks or butcher twine. Remove and get ready to crisp the bacon. I find it easier using my oven on broil setting. 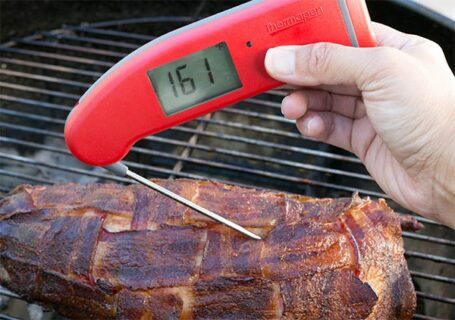 Brush on a little melted butter before you carefully crisp the bacon in your oven broiler. If you used toothpicks or twine, remove them before this step. Remove and let rest for 15 minutes before slicing. Slice crosswise, arrange on a serving platter. 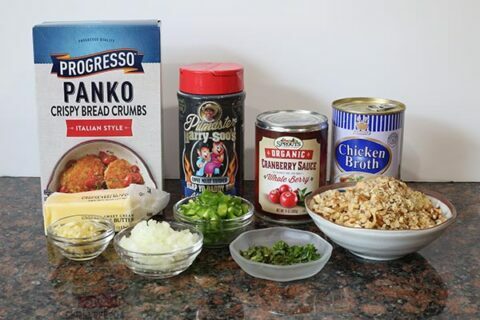 Serve with some warmed crushed cranberries. Oh my, that is beautiful. I wish that I was brave enough to serve it for Thanksgiving! 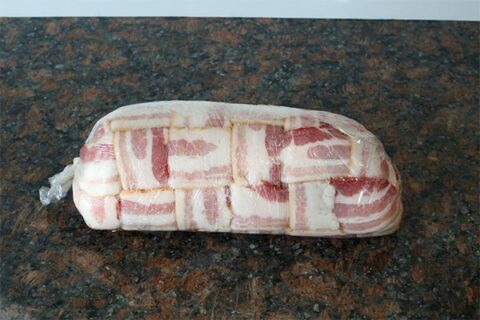 This dish looks fantasy, very creative way of wrapping the bacon. 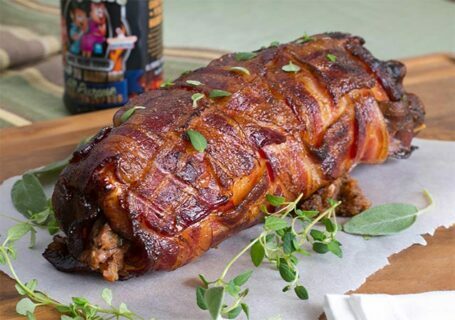 I will have to try this recipe when grilling season rolls around. Just finished this for Thanksgiving, it really turned out great.. Thank you for another wonderful recipe, Harry!